This post covers social selling on LinkedIn, some important stats, why more employees need to master social selling, and LinkedIn social selling tips. If you’ve been in sales or marketing, you are probably quite familiar or have at least heard of social selling. The strategy came to light a few years ago, but it is still relevant as ever today. In general terms, social selling is when salespeople use their social media accounts to interact directly with their prospects and buyers. Although the definition may be more specific to sales teams, the marketing team may also be active in a social selling strategy as well. Yet, with social media algorithms evolving and the way we connect to buyers, all employees–no matter what department–should be actively involved in social selling on LinkedIn. 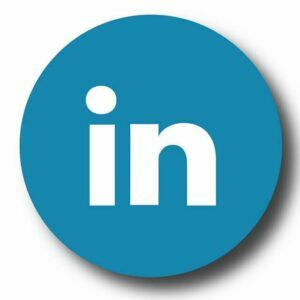 Why Social Selling on LinkedIn? 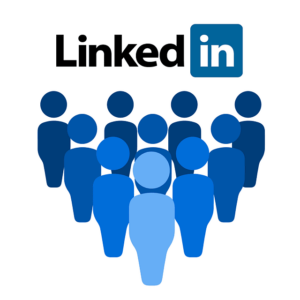 When it comes to easily identifying companies, contacts, and connecting for business-related reasons, LinkedIn is no doubt the best place to be. The platform has become the go-to resource for jobs, industry news, buyers looking for solutions, and people actively use it to learn. This makes it much easier to talk to customers, prospects, potential buyers, and bring a human-to-human touch when it comes to sales. That is only scratching the surface. If you search for more stats, you’ll find quite a lot. And now that we covered some LinkedIn stats, it’s important to mention some specific social selling stats as well. Related: Looking for more introductory material on social selling? 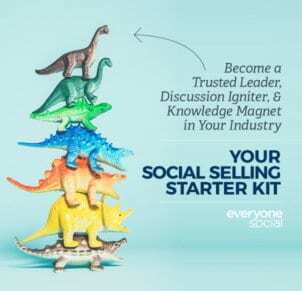 Download the complete guide social selling guide. Now we come to the main portion of this blog post — why all employees should master social selling on LinkedIn. I don’t mean every employee should be required to be a social seller for their company, nor will all have time to be fully dedicated like sales or marketing might. That being said, social selling is relatively easy to get involved with on LinkedIn and is beneficial to not only the company but individual employees as well. Having employees outside of sales or marketing involved in social selling has many benefits to a company, especially for B2B. Increases brand visibility. When more employees are sharing content and optimizing their LinkedIn profiles, their networks are clicking and engaging. Many times, these are people who are not familiar with the company or do not even realize the value they are missing. Drives more leads and higher quality as well. Just as brand visibility increase, so do leads and the quality of those leads. 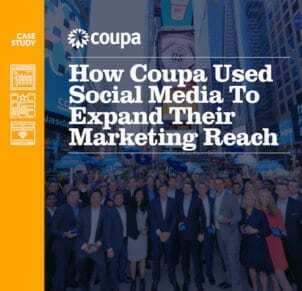 When you have a team of social sellers armed with content, they are educating their social connections. People on LinkedIn are especially more interested in this kind of information. Plus, people trust recommendations from friends, colleagues, and family over any other forms of marketing (ads, corporate handles). Boosts web traffic. As your brand visibility increases and more employees sharing company content and news, more people will click or search for the company website. As we know based on stats above, LinkedIn is driving more than half of total social traffic so when you have hundreds or thousands of employees sharing, you bet web traffic increases. Naturally, companies gain the most from having most or all employees active in social selling on LinkedIn. Companies are closing more deals, driving leads, and increasing revenue through social selling. But, employees also reap the benefits by becoming social sellers too. Builds their personal brand. Not every employee will care about creating their own personal brand, but sharing on LinkedIn and optimizing their profile can quickly and unintentionally do so. Peers see them as thought leaders. 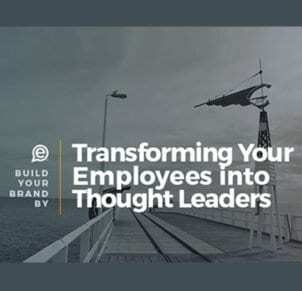 Similarly to personal brand, not all employees will care to be thought leaders. However, employees can become the go-to source for information and are the trusted resource to prospects, buyers, and customers. Future career opportunities. By optimizing their LinkedIn profiles and actively being a social seller, more people will notice. This includes employers, recruiting firms, and talent acquisition leaders. It doesn’t just mean new future job opportunities but could lead to article interviews, writing gigs, etc. Of course, your company doesn’t want to lose employees, but you can’t stifle their growth either. Contribute to company success. Besides bringing their talent already to their specific job duties, employees are contributing to the growth and financial success of their company even further. This can help add more pride into their work and company. That, of course, can fuel them sharing more content and talking about the company they work for even more. One of the challenging aspects most companies have if they want more employees active in social selling, is sparking their interest. Outside of marketing and sales, everyone is and has a different understanding of social media. And, not all employees feel they have time to get involved. Yet, social selling on LinkedIn is more feasible than most realize. Below are a few ways to make sure more employees are interested and start getting involved in social selling. Before any social campaign or initiatives takes place, your company needs to have a social media policy or set of guidelines in place. Most companies have some guidelines in the current digital time, but it may need to be updated. It should be clear, easy to follow, include the goals of being social, any repercussions for tarnishing the brand, etc. And most importantly, employees need to be aware it exists. Related: Looking for the best social media policy examples and template? Download your copy of our latest eBook. As I mentioned earlier, everyone has a different understanding of social media. On top of that, not everyone is clear on social selling or even LinkedIn for that matter. If your company is taking social selling seriously, then having training workshops for employees to freely attend will be key. This is also a great time to present the goals, values, benefits, and guidelines along with the actual training. Besides getting employees trained and ensuring LinkedIn profiles are designed for social selling success, your company needs to make it easy for the workforce to post and have access to content. This is where employee advocacy and social selling software like EveryoneSocial makes it easier. Your company can host all the best and important content, get employees involved in suggesting articles to their team, monitor social results, and even gamify the experience. Technology like this will eliminate having to search for content, keeps everything in one central location, and lets employees collaborate and contribute easily. There is a lot of LinkedIn social selling tips for salespeople as they are the typical leaders of social selling initiatives. However, if your goal is getting employees of other departments involved–or you yourself want to better optimize your efforts–then the below tips will be helpful. 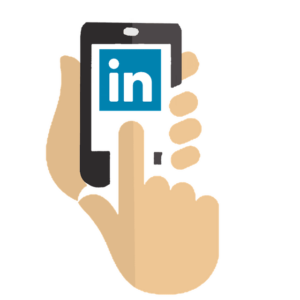 LinkedIn was typically used as a professional profile to showcase employers your work history and basically be an online resume. While that can be an aspect to it, anyone who is currently employed and not actively searching for a job should tailor their profile as experts in their given field. Many times that is reflective of what their company’s services or product are too. It’s okay to have your past work history listed, but your profile should instantly let people know you are an expert in your field and not just a resume or even a spammy salesperson. This should be common sense, but ensure you have a profile picture that clearly shows your face. It needs to be clear, no background noise to distract from you. LinkedIn has done some data research that showed having a profile image increases your profile being viewed by 14x. Additionally, don’t forget to add a background image too. This can also add to the look and feel of your profile. Your summary should be one or two paragraphs. People are usually only skimming your profile anyway, so anything longer probably won’t even be noticed. The most important things you need in the summary is to describe your role, your unique value prop, and why you’re passionate about the job. It’s also good to add some flavor to it, show off some of that personality. 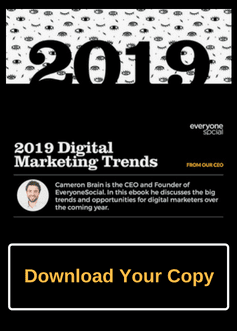 To help effectively attract buyers, prospects, and even new audiences you need to be sharing great company content and third-party resources. You don’t want to spam, or just post content that only talks about your company. The content needs to educate and provide value to help you build trust. 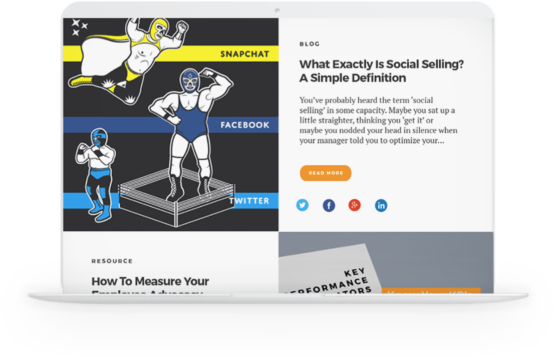 If you don’t have this type of content, make sure your marketing and sales teams work together to talk to current customers and see what audiences need. This will greatly help the quality of content and ensure other employees will be interested in sharing. No one wants to spam their connections. Posting content is great, but LinkedIn social selling is also about engaging in conversations and adding value. This means commenting, liking, resharing, tagging others, etc. Get involved! More people will notice that you are actively engaging and when you do share content, they are more likely to engage or take the content more seriously. This also doesn’t mean you should comment on content and spam your company’s product or services. It’s a quick way for your connections to get annoyed with you or even remove you. While social selling is important for most social media outlets, LinkedIn is easily at the top of the list. Prospects, customers, and future buyers use LinkedIn to be educated, connect and find solutions to their specific problems. It’s why salespeople are incredibly active on this social platform. Yet, this has evolved to the point where all employees should learn and understand how to be a social seller on LinkedIn. This not only benefits the company but is also beneficial to them as individuals as well. Genesys recognized the value of social selling a few years ago and how it can greatly improve their pipeline, win-rates, and deal size. 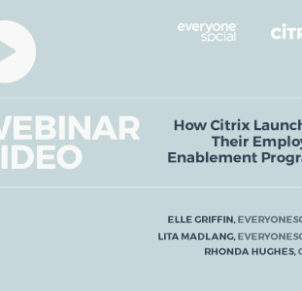 Learn how they used social selling and software to unleash employees online.